Add Twitter & Video Link! First make your payment by clicking on the "Buy Now" button, then send us your Music Video link. We will respond to your email (allow up to 24hrs). We keep our prices very affordable so every Artist has the opportunity to be heard. 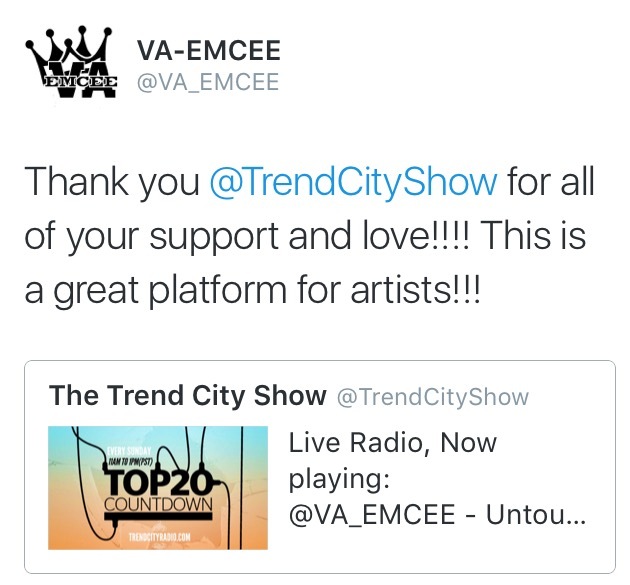 - We put your Music Video on the TREND CITY Website, under the "MUSIC VIDEOS" section. - We blast your Music Video on our Twitter & Facebook, once a week for 4 WEEKS STRAIGHT! 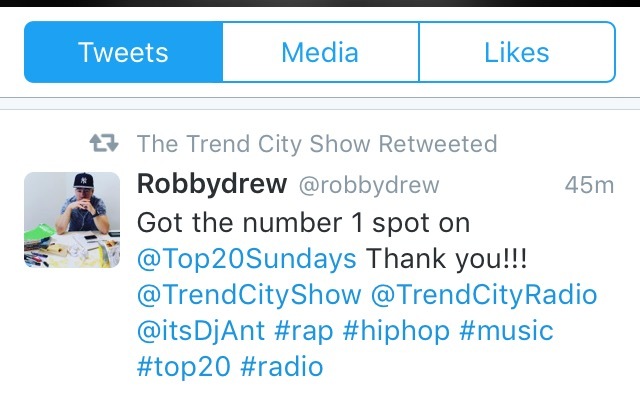 - We put your Music Video on the TREND CITY Mobile App! under the "Youtube" section. 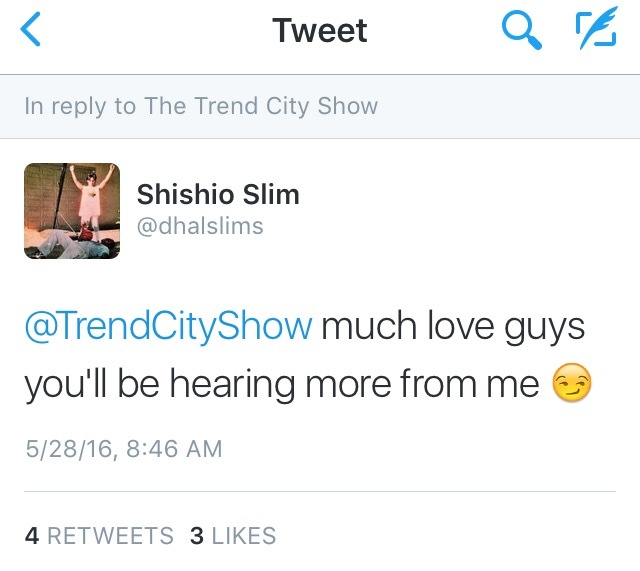 - The single featured in the Music Video will receive 4 weeks of Radio Airplay on a "Trend City Radio" Live Show.